Making these Christmas Ornaments just couldn’t be any simpler! 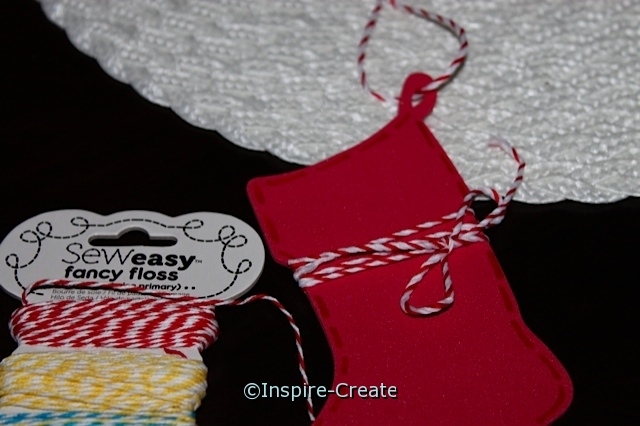 These truly are Easy Stocking Ornaments made with pre-cut Craft Foam Shapes and Baker’s Twine. They take only minutes to make and will look great on any Christmas Tree this holiday season. 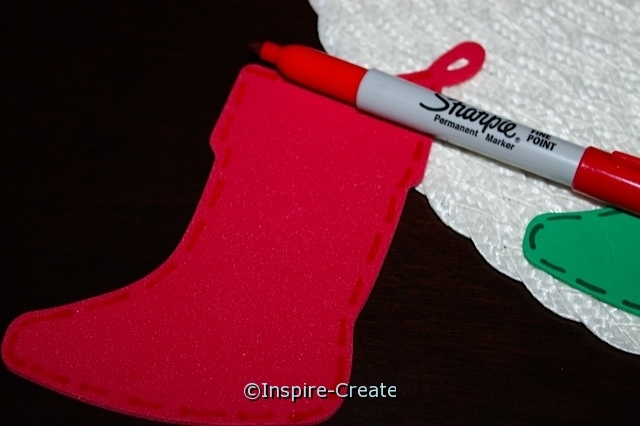 Simply outline Stocking Foam Shapes with a Sharpie Marker and wrap with Baker’s Twine. That’s it! No cutting, no glue, and no mess. 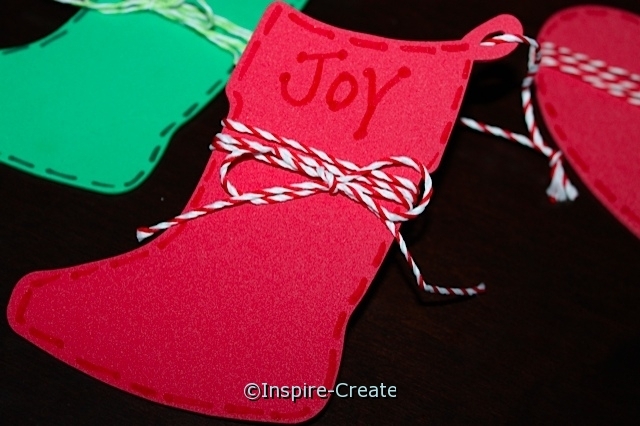 This is the perfect holiday craft for the classroom and Sunday School. Ornaments can be personalized with Sharpie Markers. If only all hand-made Christmas Ornaments were this easy to make! 1. Start by outlining the Foam Shapes (Stocking, Star, Hearts, etc) with Sharpie Markers. We used a Large Red Stocking Foam Shapes. Make lines, dots, or a combination of both around the edge of the foam shape. Any permanent marker will work on craft foam. Just give it a few seconds to completely dry so it doesn’t smear. 2. Next, wrap the foam shape about 4 times with matching Baker’s Twine and tie a bow in the front of the shape. Then, attach a small piece of baker’s twine for hanging. 3. 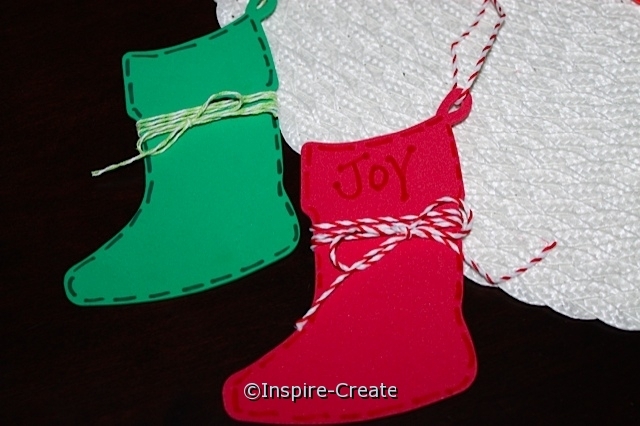 Personalize shapes with child’s name, the date, or words like ~ Joy, Peace, Hope, Wish, Merry Christmas, Happy Holidays, etc. Hang on your tree and enjoy! 4. 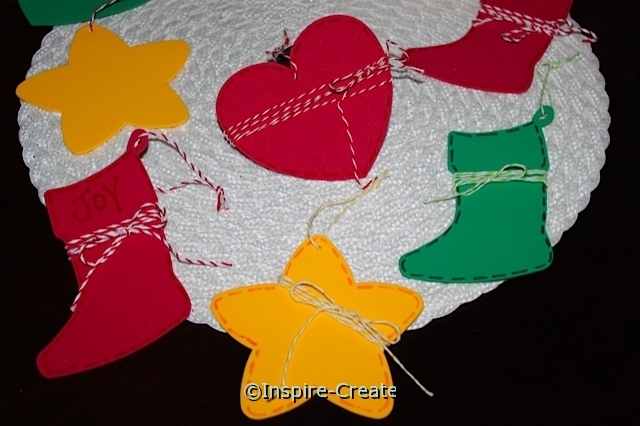 This technique works great for Star and Heart Ornaments too! Choose your foam shape and simply wrap with bakers twine and hang.